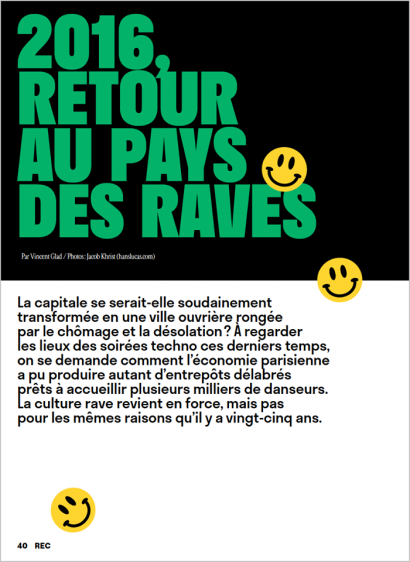 It’s official, Parisians and French are inspired by the rave culture. 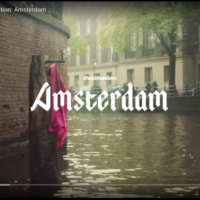 Unconventinal parties are organized in the suburbs of Paris where massive warehouse parties, cave parties and techno festivals are flourishing. They also referred to a new collective called ØFF party that understood perfectly the desire of French clubbers for something new and more authentic. They organized parties called DRØM and then TENSION for our greatest pleasure. We decided it was worth a visit and we return to Paris, the new capital of cool raving! TechnoBabes had a nice 24hr rave experience in Paris that weekend. We started with The Peacock Society. About the festival: the whole place was surrounded with trees, they had 3 different stages, the biggest was very dark with some mesmerizing light installations – which are a personal favourite of ours – and the stages were quite separate from each other. The third little area was seperated and full of windows. About the performance: I personally think Daniel Avery, Danny Daze and Clouds were definitely the highlights of the night. Danny Daze was playing like I’ve never hear him before, and the sound system and lights were the perfect combination to enjoy his set. About the rave: the average age was very young, they were all full of energy and many of them hadn’t any idea about the line up of that night. Nevertheless, since the moment I hit the dance floor – I felt such a nice vibe. About the organization: at the entrance everything was quite fast, and the place was very easy to get in and out in every moment. The only problem I found was the cash counters, there was not enough for the high demand that they had all night long. Shortly after, there were no more lockers available to use. 7am, cap, meet up with the rest of our friends, cap again and finally we arrived to TENSION#1 after party on Sunday morning. 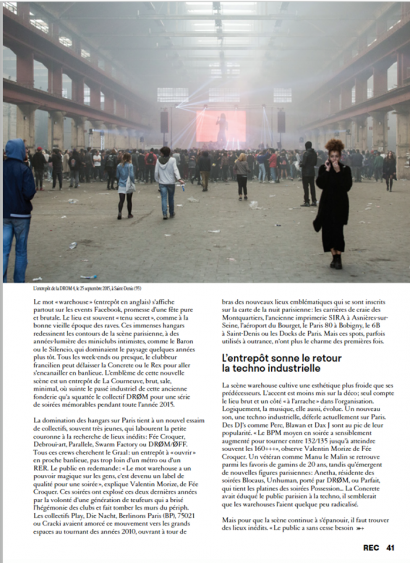 The venue was in the suburbs of Paris at an old industrial warehouse. 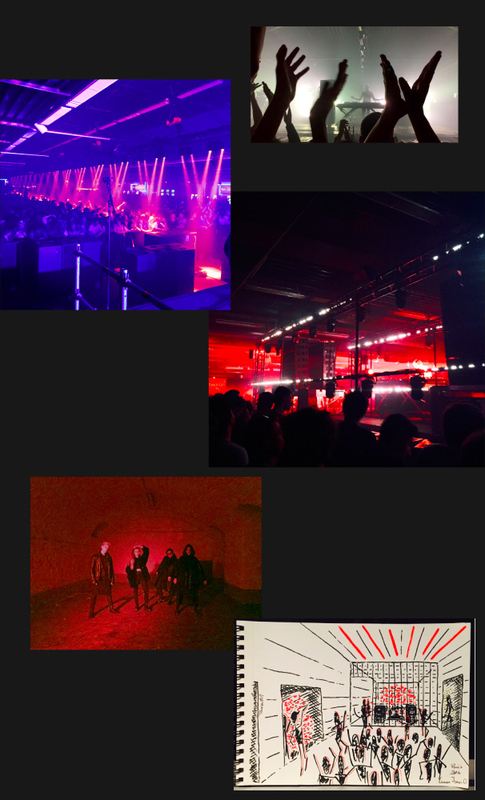 The synergy between the darkness, minimal red lights, Funktion-One sound system, and techno was on point. And to be honest, we had nothing to complain about. Everything was perfect. We enjoyed a true techno party. Besides, we had Boris as a special guest from Ostgut Ton label and Clouds. Totally recommended. It’s pretty clear, go raving to Parisian Suburb Warehouse with party enthusiasts to experience a top quality techno party. Clouds has a secret guest brings icing on the cake. Be aware that in a festival of more than 10 000 people, phones are out of order, before you loose your friends. Setting up a meeting point in case of people lost before the festival can be very useful!